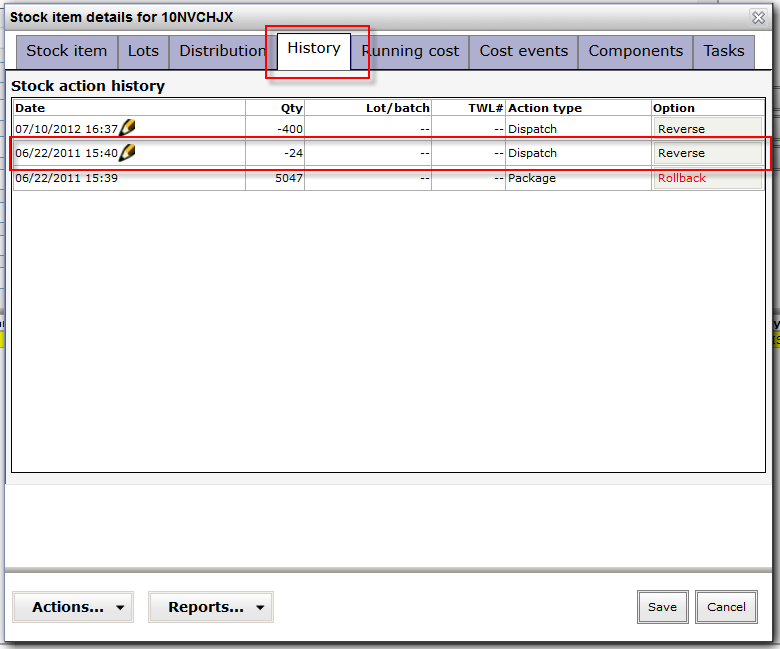 You can correct the details of an inventory dispatch by finding the dispatch operation and using the correct button. 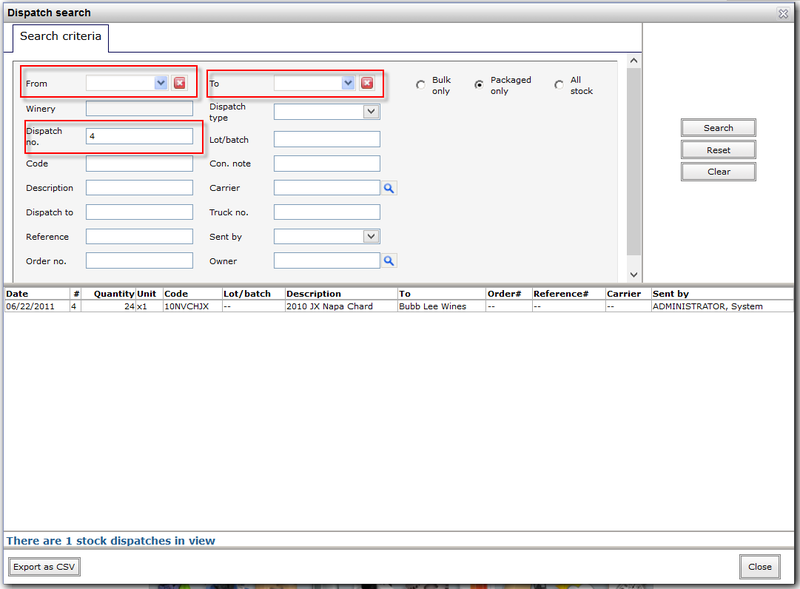 The following example shows you how to correct the ‘Dispatch To’ details on the dispatch. First locate the Dispatch in the Dispatch search. 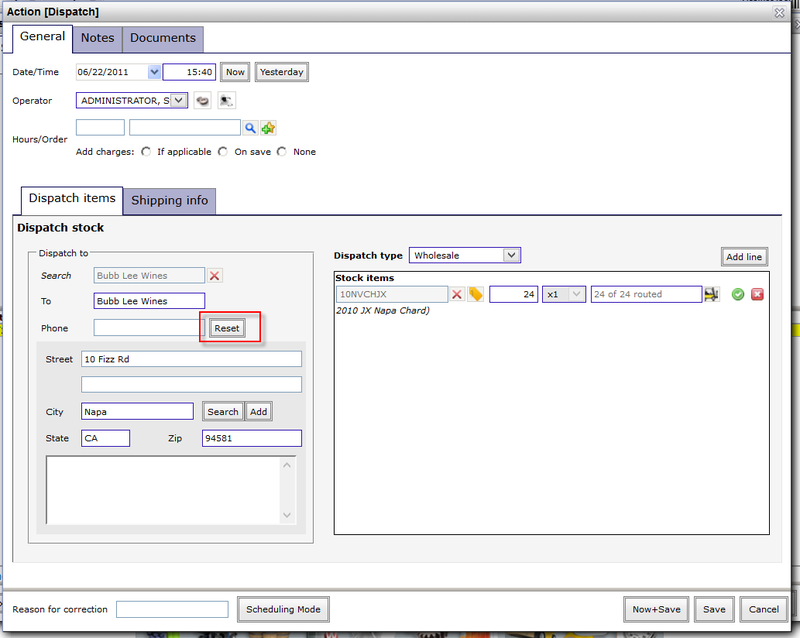 Click File -> Search -> Dispatch search then use the filters to locate the dispatch you want to change. If you know the dispatch number clearing the dates (click on the red x icon) and entering the dispatch number would be the quickest way. Once you find your the dispatch click on it and then click the View/edit stock button on the list of options that appear. 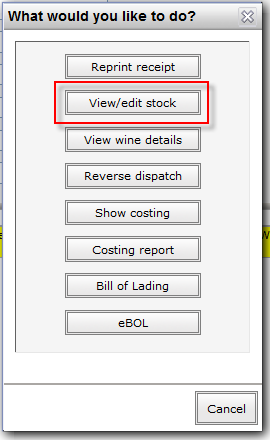 On the stock item detail screen click the History tab and then select the dispatch entry you want to change. You should be able to identify this one from the date. When the details of the dispatch are up on screen click the correct button down the bottom left of the form. This will then allow you to correct the details you want to change. To correct the dispatch to click the reset button next to the current entry which will then allow you to search for the new entry. You can then print a new BOL with the correct details on it.